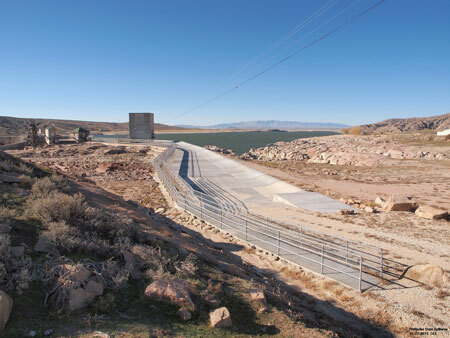 About one year ago, the U.S. Bureau of Reclamation completed work on the "3 Brick Proposal," also known as the Pathfinder Modification Project of the Pathfinder Dam spillway, located in central Wyoming. This modification would add a new ogee weir in front of the existing weir, raising the level of the Pathfinder Reservoir by 2.39 feet. 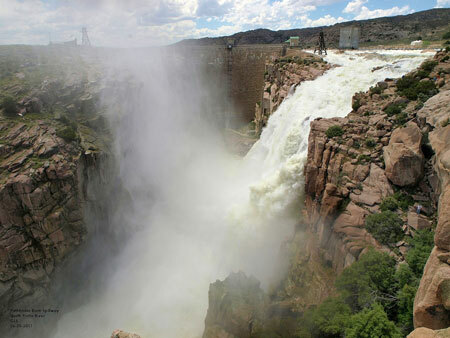 This height increase would increase the reservoir's capacity by approximately 54,000 acre-feet. This storage space would equate to the amount of water lost to sedimentation in the reservoir. Approximately 34,000 acre-feet of this storage water will go to the Environmental Account under the Platte River Recovery Implementation Program for the threatened and endangered species in the Central Platte Basin in Nebraska. The remaining 20,000 acre-feet of storage will go to Wyoming municipalities. Current snow water-equivalent figures for the North Platte basins are favorable for this time of year. Data from the University of Wyoming/USDA-NRCS Water Resources Data System indicate that the Upper North Platte River Basin is 125% of normal. Other sub-basins of the North Platte River show similar conditions: Sweetwater River is 116% of normal, Lower North Platte River is 128% of normal, and the Laramie River is 144% of normal. As a side note, the South Platte River is 145% of normal. So far it looks like we will have a "normal" runoff to fill the reservoirs in Wyoming. There are still about six weeks of "potential snow weather" that could add to the good snowpack already in the upper reaches and headwaters of the North Platte River. There may be more than enough this year to try out the new ogee weir on the Pathfinder Dam spillway.